Ingrown toenails can cause painful symptoms and they can also significantly increase the risk of very serious infections. 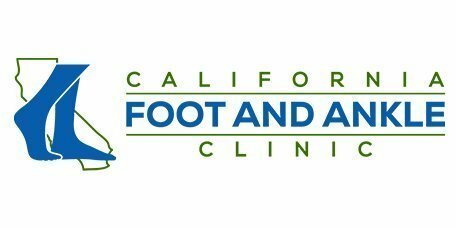 At California Foot and Ankle, Dr. Sahand Golshan uses advanced techniques for the treatment and prevention of ingrown toenails to help patients from Riverside, CA, avoid serious infections and relieve painful symptoms. Ingrown toenails develop when the edge of the toenail – most commonly the nail on the big toe – is pressed into the skin along the edge of the nail bed, causing the nail to grow into the skin instead of alongside it. Ingrown toenails are especially common among people who wear shoes that are tight or restrictive in the toe area as well as those with very wide feet and those whose toenails tend to grow in a more curved shape. Cutting toenails in a curved shape instead of straight across increases the likelihood of developing an ingrown toenail. Without prompt professional care, the ingrown nail can continue to grow into the skin and eventually cause a painful and potentially dangerous infection which can spread to the rest of the toe and even into the foot. Men and women with diabetes and other issues affecting circulation are at an increased risk for developing infections as a result of ingrown toenails since their healing responses usually are diminished. In addition, numbness associated with diabetic neuropathy can make it more difficult to recognize the pain associated with an ingrown toenail, allowing an infection to become much worse over time. What Symptoms Do Ingrown Toenails Cause? Ingrown toenails typically cause pain, redness and swelling along the edge of the nail. Symptoms are especially noticeable when wearing shoes. Without treatment, the nail will continue to grow into the skin and an infection can develop, resulting in pus, increased pain, and sometimes serious complications. In their early stages of growth, ingrown toenails may be treated with professional trimming followed by placement of a tiny piece of gauze to keep the nail away from the nail bed as it grows. In more advanced cases, a part of the nail or the entire nail may need to be removed. Nail removal can be completed in the office under local anesthesia. Once the nail is removed, a special medicine can be applied to the area to prevent the nail from growing back into the tissue. If the area has become infected, antibiotics will also be prescribed to treat the infection and to prevent it from spreading.